Indie Vision Music is now officially 16 years old. I founded the site on July 4th 2000 as an independent online music store, sharing music from independent Christian artists/bands. A lot has changed in 16 years but one thing remains the same: PASSION. So with this renewed passion and burning desire to share hopeful music with a whole new generation, I am aiming to re-launch the Indie Vision Music site at www.indievisionmusic.com The site should be live and ready to go in a few weeks. To help celebrate this anniversary milestone and the re-launch in general, I have had 3 newly designed tshirts created by Brian Morgante at Flesh and Bone Design. They are all posted for sale at just $16 each! That’s right, 3 new designs, 3 colors each, sizes small-xxxl. There is even a woman’s tshirt (Circle Logo Design, click the pull down menu to see it). Help re-launch the Indie Vision Music and get the promotional hype train rolling. 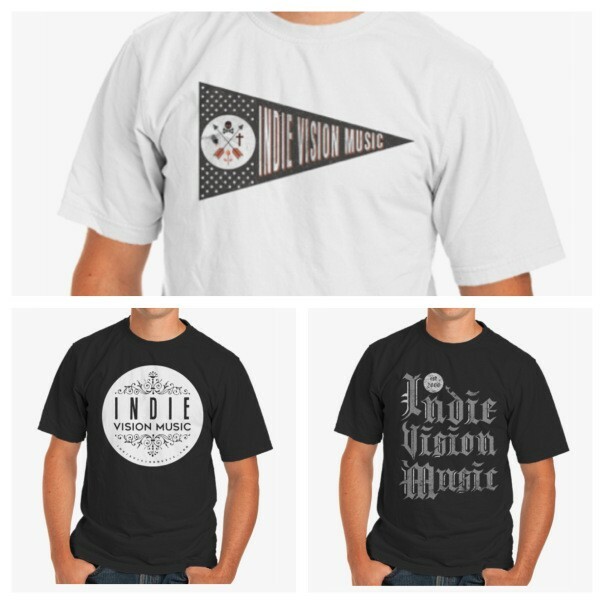 In addition to the new merch, I have posted up all the old Indie Vision Music compilations that were offered through our website in the past. Check all those out for FREE right now on the IVM bandcamp. What will you see on the new IVM site? Well for one, the focus will primarily be on music news. We will have some writers joining us that will contribute a variety of reviews and other writings. We may do a few interviews as well. So get ready to join with me in taking back the music scene one step at a time. Embrace the music, embrace the passion.